Sita Ram is a 55 year old man from a small rural Nepali village in the southern part of Dhanusha District, a few miles from the border with north India. Sita Ram is hard working but very poor, and has 8 children, one of whom is blind. Late in 2013 Sita Ram was finding it increasingly difficult to walk because his left foot was feeling numb and weak, and was beginning to droop downwards. It was very uncomfortable, and because he relied on manual work to earn wages, it was affecting his ability to earn enough for his family to eat. 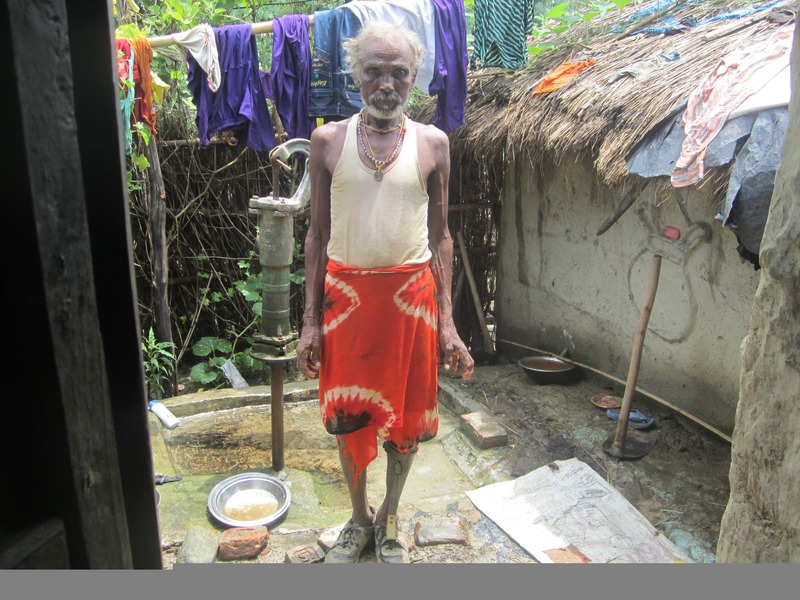 In early January 2014, Sita Ram came to Lalgadh Leprosy Services Centre and to his utter dismay, it was confirmed that he had the more serious type of leprosy. He immediately started treatment to kill the bacteria causing the disease. After some persuasion, Sita Ram enrolled in the Self Care Training Centre in May 2014, for a two week training to learn simple techniques to help prevent his disability becoming worse. 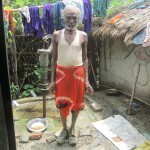 The training helped him to understand more about leprosy and the signs of deterioration to watch out for. This knowledge gives him early warning of further problems so that he can quickly seek help before damage is done. He also learned exercises to help strengthen his weak foot, and a technique to keep his skin supple and less liable to crack and allow infection to damage him further. Sita Ram was a quick learner and took all his lessons and exercises very seriously, and even helped other trainees to learn them and do better. While at Lalgadh, he also discovered that there was a group of previous trainees working together at their self-care in a village near his own home. One of the results of his training was a remarkable improvement in his foot drop, and for the first time for several months he felt his foot lift. To his delight, his walking improved and he was provided with some special shoes to make his walking easier and safer. He then returned home in a very different state of mind from when he came to Lalgadh, and decided to join the nearby self-care cell that he had heard about. Sita Ram joined in the group exercises enthusiastically, and applied the skills he had learned so well that the group leader asked him to become a trainer in the group, so that he can share his skill and enthusiasm with the other group members. This is helping Sita Ram to move beyond his leprosy, and in a sense to become more than he was before, as he moves from being a learner, to being an educator, sharing his valuable skills with others. Underlining all of this is the fact that he has been able to continue to earn and support his big family, and has maintained his self-respect and the respect of his community. 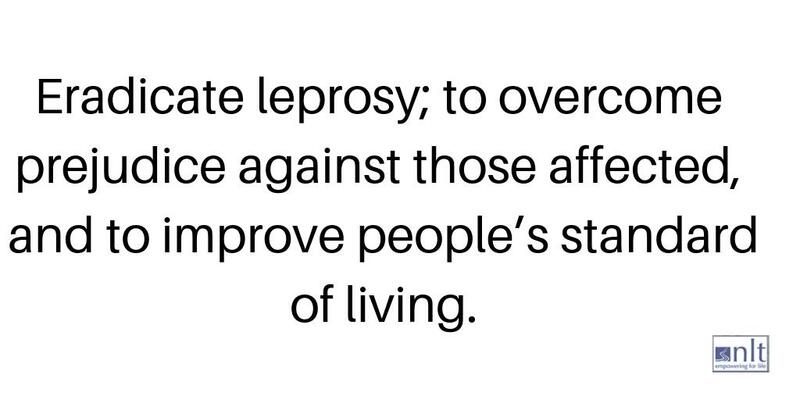 This is a perfect example of the difference that this project is making to lives in danger of being crushed by leprosy.